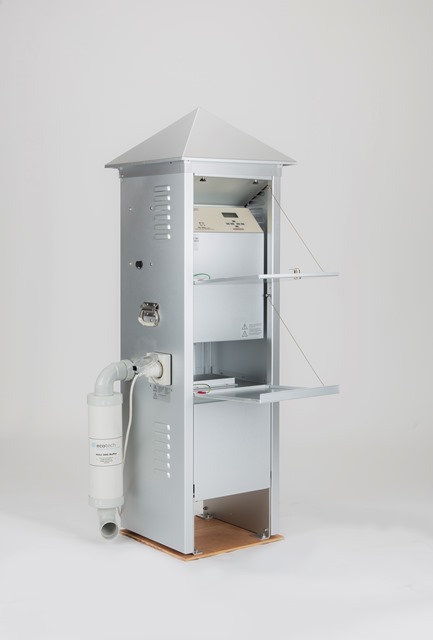 A revised pyramid-shaped TSP inlet retrofitted onto existing Ecotech HiVol 3000 series TSP air samplers provides clients with a cost-effective solution to ensure representative sampling and compliance with updated Australian Standards. The symmetrical pyramid inlet from Ecotech provides a cost-effective solution for clients to maintain TSP compliance. Recent changes in Total Suspended Particulate matter (TSP) air quality standards from the United States’ Environmental Protection Authority (U.S. EPA) has prompted Australia to review its own standards. Taking the lead from the U.S. EPA’s tightened tolerance on “capture air velocity” for all new air samplers, Australian standard AS/NZS 3580.9.3: 2015 has been updated and requires all users of TSP air samplers to update their TSP inlets for better control over particle intake velocity. These changes mean that all existing and future TSP air samplers must be fitted with the new TSP inlet to meet the updated Australian standards. Ecotech Systems Engineer and product expert William Phelan was instrumental in the design of the HiVol 3000 series 13 years ago; his knowledge has helped shape the new updates driven by Ecotech’s in-house Engineering team, which has been working to continuously improve the design of the HiVol 3000 series of equipment. Ecotech’s TSP inlet is designed to meet the new dimensional tolerances required to ensure effective particle capture air velocity, meeting Australian standards of compliance and helping maintain consistent, accurate data. The new inlet will have part number identification affixed to differentiate it from the superseded model. To talk with Ecotech about upgrading the inlet on your HiVol 3000 for TSP compliance, please contact info@ecotech.com or call 1300 364 946.